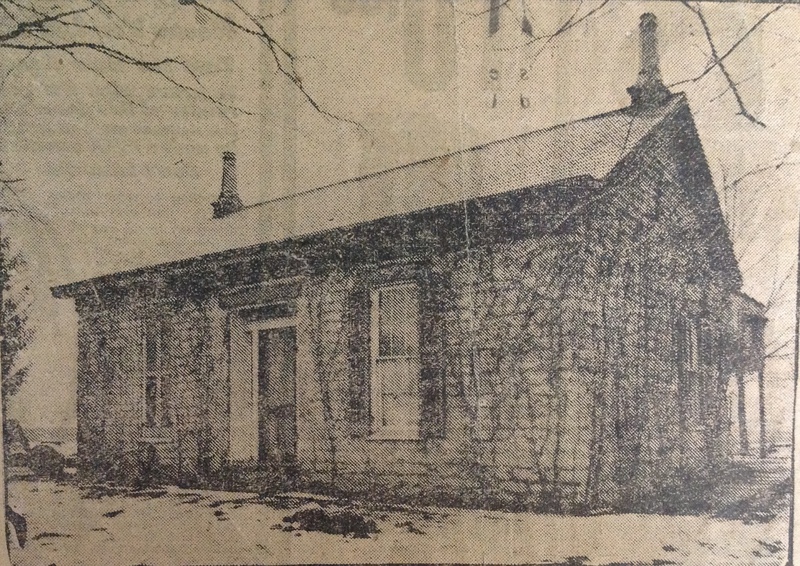 The Lanes were pioneer settlers in Springfield Township, and local legend holds that their homestead was a station on the Underground Railroad. Though we currently have no primary source document to prove the Underground Railroad connection, there is strong circumstantial evidence to support the claim. Aaron Lane Sr. (1763-1845) and his wife Sara Van Dorn and their six children came to Springfield Township from New Jersey in 1798. They settled on land purchased from Symmes, just north of what would be the village of Mt. Pleasant (later Mt. Healthy), along an important transportation route, then called the Hamilton Road. It would in the 1830s become the Cincinnati and Hamilton Turnpike. (Petitions dating from as early as 1817 were sent by residents to the Hamilton County Commissioners asking that Hamilton Road be improved to protect it from flooding from the creek that ran near the Lane land.) The Lane homestead nestles into the floodplain of the west branch of the Mill Creek, where Mill Road branches off from Hamilton Avenue. The elder Lane was a farmer, as were some of his sons. 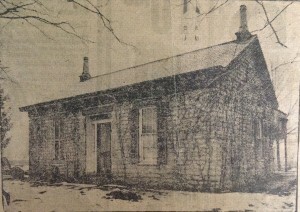 One of his sons, John Lane (1793-1880), was a blacksmith, and the stone building that housed his shop, constructed in 1813, still stands as of 2014. The farmhouse, built in the 1840s, stands empty. 2) Secondly, the Mt. Healthy Christian Church split and suspended its meetings for five years over the abolitionist stance of Aaron Lane Jr. (1792-1855), one of three elders of that church. Church historian Donald Steffy states in his blog that “early Mt. Pleasant Church of Christ records seem to implicate him” in having tried to use the church building to do what he is suspected of having been doing at his home: providing a refuge for fugitives. 3) The last piece of indirect evidence is from the memoir of Clark Lane (1823-1907), a nephew of Aaron Lane Jr. By the age of 18 Clark Lane was skilled at manufacturing farm implements in the family’s blacksmith shop, and in 1844 at the age of 21 he moved to Hamilton to complete a contract for fifty wagons for, as he states in his memoir, an abolitionist. After the 1844 Presidential election, in which he voted for James G. Birney, the Liberty Party candidate, there was such hostility directed at him that he left Hamilton and moved to Dayton. What event brought about his conviction in 1839 or 1840 to “confirmed abolitionist”, we can only guess at. The murder of Reverend Elijah Lovejoy in Alton, Illinois in 1837 at the hands of a pro-slavery mob is one event that galvanized many across the nation to become abolitionists. (See pg. 108-109, Harriet Beecher Stowe: A Life, by Joan Hedrick, 1994: Isabella Beecher, sister-in-law of Harriet wrote to her, “…you must become an Abolitionist, or you will be left in the background. The Alton murder has brought us all over to the faith.”) In Cincinnati in 1837 a pro-slavery mob invaded the offices of the abolitionist newspaper The Philanthropist and destroyed the printing presses. The anti-slavery Liberty Party fielded its first Presidential candidate in 1840, and the Philanthropist newspaper records active organizing to bring local abolitionists together. Or perhaps some personal experience with fugitive slaves was the catalyst. These various items seem to offer a good case for the passed down local lore that the Lanes, whose homestead was well situated along the well-used Hamilton Road to offer a safe resting place to freedom seekers, were active in the Underground Railroad.